Our newly-renovated unique and eccentric Loft is one of the most popular private venues in Dublin’s city centre. The Loft is located on the second floor of 4 Dame Lane and can accommodate up to 250 people in an informal and intimate setting. We have recently added some cool new features to The Loft, such as, funky new furniture, foosball & ping pong tables along with an endless supply of board games to allow for that little bit of extra entertainment on your night out! 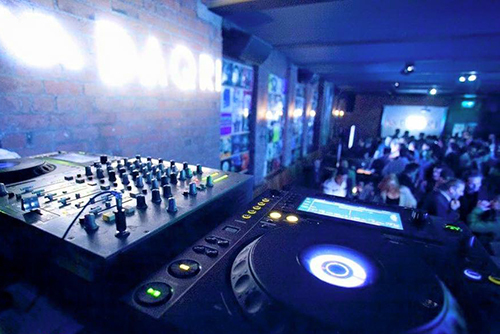 The Loft is open Thursday – Sunday from 4pm with DJs every Friday & Saturday. It’s the perfect venue for birthdays, group bookings, corporate / team-building events, private hire parties or just an excuse for a get together. The Loft is also available for private hire booking and is an ideal christmas party venue. (Please note we do not accommodate 21st birthdays). For more information on our Loft or for booking enquiries click the button below.